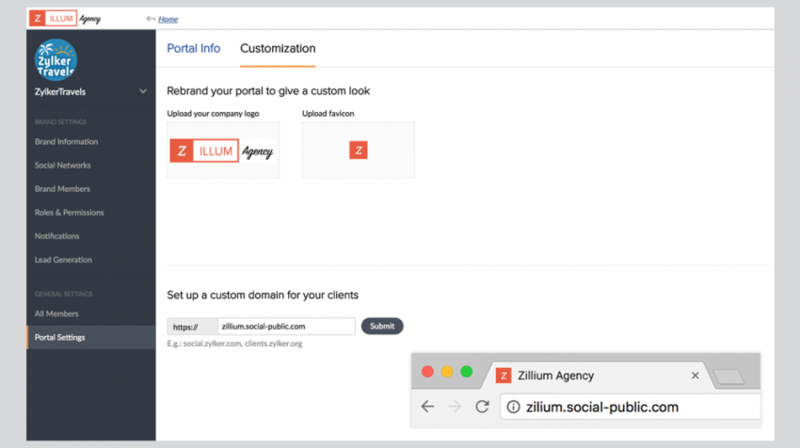 Zoho Social for Agencies allows smaller advertising agencies the ability to manage several client accounts from one platform. These agencies can collaborate with clients and make reports using customized aggregated statistics. The new service from Zoho provides a way for small businesses to be more hands on in their marketing too. Not every small business has the resources to handle social media marketing. So they often outsource the work instead. But the new platform allows small businesses to maintain more say in important aspects like publishing and scheduling posts and engaging with customers. One advantage becomes immediately clear. Social for Agencies eliminates sending emails back and forth between the agency and the small business. Praval Singh, Product Manager for the parent product, Zoho Social spoke with Small Business Trends about who benefits most from the new product. “Zoho Social is geared towards digital agencies that offer social media marketing as a service to their clients, with the help of a team of social media and content marketers. Most agencies are small companies, but they do manage social media for large clients,” he said. “Since Zoho Social for Agencies helps with publishing and scheduling posts, listening to mentions and keywords, engaging with prospects and customers in real-time, and creating custom reports to measure performance, it is a complete social media management tool for digital agencies,” Singh explains. The Zoho Social for Agencies edition has a number of features. First, the tool allows agencies to manage their brands and clients from one place while also specifying distinct rolls for different team members. The built-in cooperation feature means small businesses are always kept in the loop. Team members can start new discussions and collaborate with clients or among themselves. A tagging feature facilitates the process allowing you to invite clients or team members to specific discussions. Not only does this improve the overall decision-making process, according to Zoho. It preserves a record of the process as well. The tool can also be customized for branding with logos on reports and invitation to clients is included. Zoho Social for Agencies can also integrate with Facebook lead ads. Agencies can generate leads from these Facebook campaigns and slide them right into the Zoho CRM system for their clients with no need to download leads manually from Facebook. Zoho argues this feature becomes a time and cost saving measure promoting quicker decision-making. Zoho Social for Agencies has two different plans, an Agency and Agency Plus version based on the number of brands each can accomodate. The Agency version costs $1000 a year for 15 brands and the Agency Plus costs $1500 a year for 25 brands. Zoho Corporation is a business management software (SaaS) developer and information technology company with 5,000 employees and offices in California and India.